Hey there folks, I’m DJ Rosie from Film Frequencies, on air Wednesdays from 12-1, and today I am going to be reviewing a brand new album from Another Distraction titled Fragments. Before I begin, I’d like to put you in the headspace that I am currently existing in. I went out and saw the new Kingsman movie, Kingsman: The Golden Circle. Although the film was great I decided to make the fateful decision to drink 48 fluid ounces of Cherry Coke. I assumed that I could handle such a drink. As I have now learned, I cannot. I got home and immediately felt sick, and then went into a sugar induced coma for five hours. I have now awoken and decided, “Hey, now is a wonderful time to write a review of a loud rock CD!” Let’s hope I was right. After looking at the CD, there are six songs on it, and after some research, this is an EP released on September 8th, 2017. The total duration of the album is 22 minutes and 3 seconds. Not a bad listen if you’re on your way to work or want to show your friends. I personally don’t have a long attention span, so this length is perfect for me. The first song is called ‘Direction Define’. The song is about, as I interpret it, someone being isolated by everyone and left to fend for themselves. Through all of it they find themselves, they define their own direction. Something about the tempo of the song makes you feel like you’ve listened to it before, but not in a bad way, it just feels nostalgic. If this first song is any indication of what is in store for the rest of them album, I am very enthusiastic about the rest of this album. The next song, song two on the list, is called ‘Scene Kid’s Afraid To Leave The Scene’. This song is all about feeling in the moment. The chorus is “Let it go, let it go/ Tell me something I don’t know”. This song really makes you feel in the moment, and reaches out to the scene kid in all of us. I can completely imagine being in the crowd at this concert and excited to be part of something. The third song is called ‘Use Your Words’. When this song begins, you can tell it is different the the previous two. It starts with a short instrumental, and the words are a lot angrier. It’s a lot of hurt, all about how someone hurt them and comments “It’s easy for you”. This hits notes a lot harder than the other two songs, and shows another side of the band that I am excited to see. Track 4 is called ‘Betting On Infinity’. It begins with a tad bit of shouting, leaning towards my classic idea of loud rock. That theme continues through the song slightly, but the rest of the song is more similar to track 1 and 2, where it is a sadder, more classic type of punk (and slightly pop, just slightly) rock. The fifth song is called ‘Where I Reside’, and it begins with a darker tone, with wording that leans towards more emo. There are sections of the song that have just the singer and drummer playing, and it helps pace the song a lot better than if it were to keep a similar pace the whole time. It gives the listener something to break up all of the songs and refocus and regain the interest. The final song is the one I am most excited about. The title is ‘For the Love of Sarah’. I don’t know why, but I absolutely love when songs have the names of people in them. It has a voyeuristic feel that is very intriguing. It begins very softly, and with the line ‘This is not where I imagined we would be” which I found appropriately ironic, as my first thought when hearing the song was “Is that a acoustic guitar?”, which, as the lead singer stated, isn’t what I imagined in a loud rock album. And wow, it surprised me. A female singer, who I learned is named Sara Anderson, comes in about a minute into the song. The duet is something I wasn’t expected, but absolutely love. This song is mostly acoustic and not at all loud rock, until about another minute in, and then the rest of the band comes in. It’s such a fun and wonderful song, I definitely wasn’t expecting this but it lived up to the hype that the title set for me. Overall, this is a great album. Most of it –excluding the last song, that one just made me excited and a bit sad — was very nostalgic for me. About five years ago, this was the exact music that I was listening to and it took me right back to that. In this album, every instrument is very distinct, which is something I appreciate in loud rock. I know that I have listen to other bands where I can’t quite tell the difference between what is playing when because everything is so, well, loud. I’m so happy that I’ve been able to listen to this album and I am so very excited to see what Another Distraction has in store next! Mastodon? Who are they? A hot loud rock band currently trending now!! Mastodon just so happens to be one of the hottest rock bands right now! They are an American band that has been around since 1999. Mastodon is a quartet composed of four members: Brent Hinds, Brann Dailor, Bill Kelliher, and Troy Sanders. This band is from Atlanta, Georgia, and has been around since then, and continues to release new music. If I were to classify the genre of music that the band plays, I would say they are an Alternative Metal, Alternative/Indie Rock, and Heavy Metal. Many of you who have been listening to my show know that when I played Mastodon, I actually liked their music. One of the hottest albums that is out right now by Mastodon is Emperor of Sand which was released earlier this year. This album is by far one of the best albums that I have listened to, and have played since I became a fan of them. So, with that, I have really enjoyed listening to Mastodon. When I have listened to Mastodon, their music made me feel like that I wanted to listen to it more. Okay, so what else is new with Mastodon? Not only do they have a new album out that was released this year, they also have been on tour doing concerts to their fans and those who have been listening to their songs. They happen to have a concert scheduled for May 2, 2017, in Silver Spring, MD. My favorite song by Mastodon that I have played is “Show Yourself”. I like that song because of the excellent way they play the drums because it is easily noticeable that they play the drums in a way that people can hear them. It has an excellent guitar that I can also hear when I hear the drums. I am surprised that Mastodon isn’t as loud as Slipknot. When I first heard of Mastodon, I did not know who they were until I started playing their music and researching about what band they are. So, now do you have any questions about Mastodon? I think that may be enough since I have said some things about them earlier. I hope everyone has had a wonderful time reading and learning about Mastodon! For the band Demon Hunter, the above-mentioned quote defines the message behind their eighth studio album, “Outlive”. 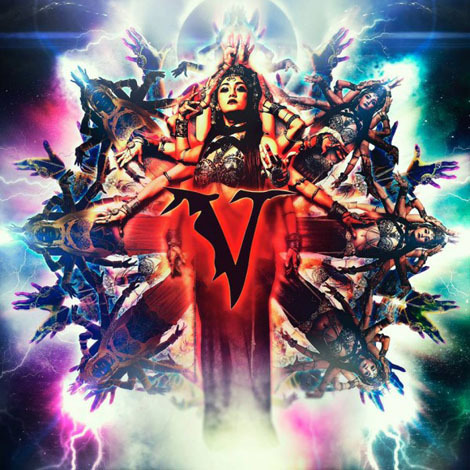 In the three years between their last album, “Extremist”, and this release, the band has gone through their own set of trials and tribulations, yet through all that, the veteran Christian metal act came out of those tragedies an even stronger, tightly threaded unit. Nowhere does it show more than in the songwriting in the album. Ryan Clark, the vocalist and founder of Demon Hunter, pours out his soul in the opening song, “Trying Times”, a song written about taking a stand and uncovering the truth behind our existence. The opening, which serves as a connecting gateway to “Jesus Wept”, shows the maturity the band has made with each passing album since their self-titled album in 2002. Patrick Judge, who joined Demon Hunter as the lead guitarist back in 2008, was finally given a chance to contribute as a primary songwriter, and he made the best of it, contributing five songs to the record. If you’re a longtime fan of the band, you can tell the difference in songs like “Cold Blood”, “Cold Winter Sun”, and the single “Died In My Sleep”, where the guitar is among the most technical work in their entire catalog. The songwriting has also taken a more personal approach for the band, as well. While Demon Hunter has always been known for their uncompromising Christian faith, the band has also grown, welcoming five children into the fold between “Extremist” and this album. The songs “One Step Behind” and “The End” are examples of how parenthood has made an impact on the band and their families. Whereas the former was written as a message from a father to his daughter (Ryan’s daughter, Ryan), the latter speaks of the struggle of being a first-time parent and always being concerned over the smallest thing. The band also recorded their longest song to date, “Slight the Odds,” which, according to Ryan, they didn’t know whether it would be the closing track on the album until the end. The song, which talks about how the odds are stacked against those who manage to keep their faith strong, is a perfect ending to what is otherwise a cathartic release. Overall, “Outlive” is Demon Hunter’s most personal and strongest album to date. With no shortage of inspiration for the album, the band stuck true to their roots while enhancing their message of hope and faith. If you are a new listener to Demon Hunter and this is the first album you have heard, then welcome. If you’re a longtime follower, then you will be pleased with the growth that this record shows. To all the geeks and science fanatics: your new favorite band is here. With Allegaeon’s new album, “Proponent for Sentience”, the five-piece brings forth an aural assault of seven/eight-string guitar mastery, six-string bass and drum symmetry that almost resembles a marching band, and vocals that range from the depths of the abyss to the highest gates of heaven. While always known for their scientific lyrical content, what a lot of non-metalheads do’t know is that the group is also known for their classical guitar work, which is featured prominently on their single from the record, “Gray Matter Mechanics – Apassionata Ex Machinea“, which features exquisite flamenco guitar playing from guitarist Greg Burgess (for the exclusive flamenco-only performance, click here). The band confirmed in interview that a lot of the lyrical content on this album comes from the idea that robotics are not just a novel idea, but an eventual future that may be too much to contain. In a press release from the band’s label, Metal Blade, vocalist Riley McShane gave a bit of insight as to what the album is about. That concept is explained in great detail in the three-part trilogy sprinkled in different parts of the album, with the magnum opus of the album being the end of the trilogy, “Proponent for Sentience III – The Extermination“, which features guest spots from Bjorn “Speed” Strid of Soilwork and Benjamin Ellis of Scar Symmetry. The instrumental work speaks for itself on the record, but one of the main highlights actually comes from the vocal work of Riley McShane, the ‘new’ vocalist. Although he has been touring with the band since 2015, the new record is his first with the band. While longtime fans of Allegaeon are used to the low, guttural vocals of former vocalist Ezra Haynes, they need not worry: McShane has that covered. For fans of higher-pitched screams, I recommend you listen to “Of Mind and Matrix”. And, if you’re one of those “I can’t get into metal because it’s too rah-rah and not enough clean vocals”, the band has you covered. For the first time n the band’s history, they incorporated clean vocals into their material, which is a positive considering McShane’s expansive vocal range. The cleans on “Cognitive Computations” will give you goosebumps. And if you’re looking for a song with nothing but cleans, their cover of “Subdivisions” by the legendary prog-rock band Rush will more than satisfy your hunger. Overall, I recommend this album if you’re a fan of movies like “The Terminator” or “The Matrix”. And while this record has its chock of singles, it will make more sense if you listen to it from front to back. Prepare to put at least an hour and a half of your day aside; this record is going to put your mind to work. Everyone has a favorite band, or at least they should. My favorite is Dangers out of Los Angeles. Ever heard of them? Shamefully few people have. Having spent the summer in DC I spent countless nights at DIY venues listening to great DC bands that have a lot recognition in scene today, but when people back east asked me who my favorite group was and I said, “Dangers,” I was often left with a blank stare. This to me is tragic. Although LA has all its celebrity idolatry, spray tanned legs, endless rows of bumpers fuming smog, Dangers is a real Los Angeles angel. We’ve covered the basics so now is time to go full fanboy. Simply put Al Brown is one of my heroes, falling in third behind my mother and Aldous Huxley. Al grew up in LA, and was discovered the punk scene after hearing Nirvana as a youngster. He then got a hold of Green Day, Bad Religion, Black Flag, Descendants, and Minor Threat. Minor Threat is undoubtedly a huge influence in Al’s early lyrics, as they have been to so many bands. Al was a presence to be remembered in the LA punk scene, as Jeremy Bolm recalled on his Secret Voice Podcast, Al was an intimidator with a tough guy attitude, however this tough guy was no meat head. After high school Al went on to attend Princeton where he finished his undergrad with a bachelor’s in English. From there he went on to attend Columbia University where he completed at masters in Creative Writing and acted as editor for the Columbia Journal. After finishing his masters Al returned to Los Angeles to attend USC, where he completed his PhD in Creative Writing and Literature. Al is currently a professor at USC which has, to my dissatisfaction, put Dangers on the slow track. Al is an academic, a thinking animal. His provocation for his fans to be thoughtful is reason enough to listen to their music. We don’t need more people who act according to a book, for the possibilities of the human brain abound, and it is up to all of us to push this world into a brighter future. Cliché as that statement is one cannot deny the truth. 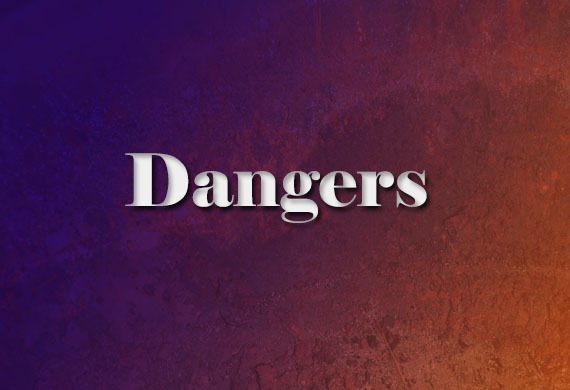 Dangers’ entire catalog features calls to arms, since we are all armed with minds, but their song “We Have More Sense Than Lies” should be the national anthem for punk if there ever was one. Contrary to what I said about a call to arms the song goes, “… And this is not a call to arms. Just a hope that we might try. To use our heads and open eyes. We have more sense than lies. We have more sense than lies. And nothing changes if we don’t change ourselves.” Such a simple message but still something I am always having to remind myself of. I don’t know if it is appropriate to review your own article but this piece is not my best work even though I wish it was. It is hard to make people see things the way you do. I cherish Dangers the way a mother would her newborn child, maybe an extreme metaphor, but what do I know? I don’t have children. Similarly to a mother I think my child is better than the rest, and I just want others to see that too. So go forth and check out Dangers, they might change your life and they more than likely won’t… I guess I’m finding solace in something Al once said, “We’d rather change the lives of six kids than be background music to the lives of six thousand.” I am thankful to be one of those six. Whoops, I almost forgot, Dangers third LP will be coming out at some time in 2016 so be on the lookout. Anvil is Anvil is the final ballad from a sinking ship we call Earth and if we don’t change our tune it will mean our imminent doom. 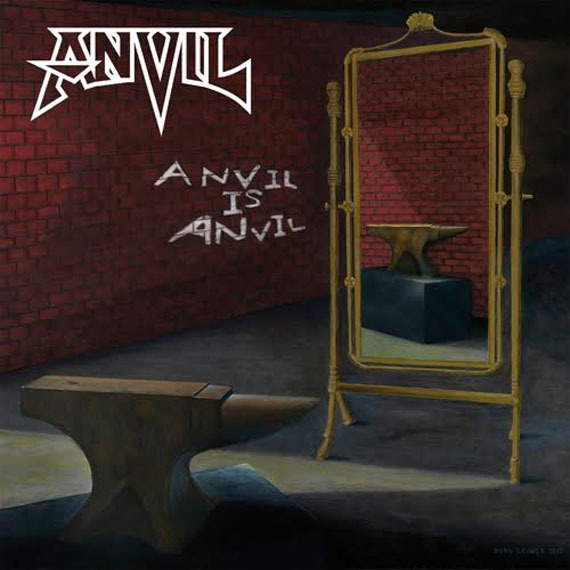 If you needed a soundtrack to a tough-guy pirate cartoon in the same vein as Disney Channel’s Dave the Barbarian, Anvil’s sixteenth studio album, Anvil is Anvil, may very well be the best fit imaginable. Not being too big of a metal fan I thought this album would be completely unbearable but the catchy choruses and powerful themes of this album make it a worthwhile listen. The song order really helps to deliver Anvil’s overall message, albeit cliché, invoking a disruption to societal order is a worthwhile cause, a cause that has long been on the forefront of Anvil’s agenda and breathes through their entire catalog. The intro track, “Daggers and Rum,” works just like a theme song for a barbaric pirate ship that is steadfastly sinking. It is a fun and catchy tune that delivers imagery of bearded men scaling ropes and sloshing pints of foaming drinks on a teetering ship. The song is definitely the album’s most original and memorable tune. The middle of the album brings criticism to society in attempt to show that the world is deservedly sinking. The band calls many of American society’s current hot button issues to the forefront of our attention. Not leaving us with metaphors to decipher, their songs “Gun Control” and “Die for a Lie” directly criticize gun violence and self-sacrifice in the name of religion, respectively. However, Anvil does not leave us without hope or direction. In the second to last track, “Run Like Hell,” Anvil suggests getting out of the rat race by running out of it. Sometimes the best way to win a game is not to play at all, and it is clear that Anvil does not live by the rules passed down by society. The final track, “Forgive Don’t Forget,” offers insight on how to overcome the hate that has perpetuated itself in society today. In the final song Steve “Lips” Kudlow sings, “Not to have died in vain / It can never happen again / With love we should embrace / To save the human race.” Hopefully their final message is enough to change the tide. I am not the best person to talk to when it comes to music. That may be an odd thing to say for someone who volunteers at a radio station, but I do a talk show so I do not have to know much. Sitting in the lobby of KSSU I hear numerous conversations about current music and I have no idea about what anyone is talking about. But the radio station does provide me an excellent opportunity to listen to all different types of music and the chance for me to give everyone my impressions and opinion. 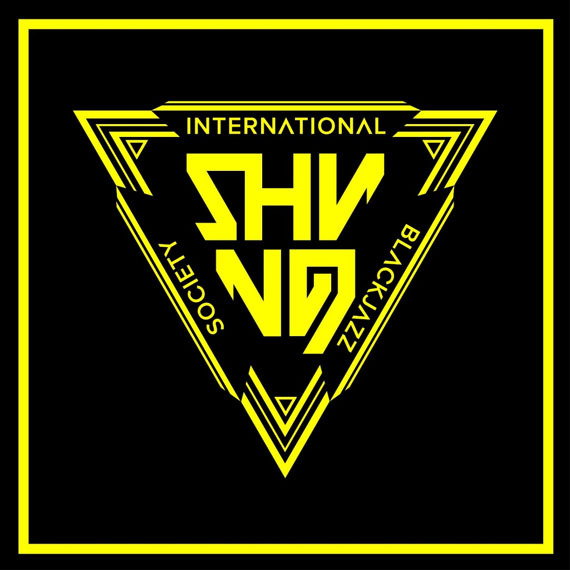 Shining’s newest album International Blackjazz Society promised a unique blend of rock and jazz with the inclusion of a saxophone. I was hesitant at first but decided to give the album a listen. The first song “Admittance” shocked me. The song starts with the saxophone screaming out in plea known to all woodwind playing elementary school band members. But the song soon shifts into a familiar sound that I have heard from other jazz songs, except for the mixed in rock guitar and drums. I was relieved by the familiarity and was intrigued by this new mix that demonstrated the potential for the potent mix of saxophone with rock music. But the music quickly returns to the ear piercing moments of the start. I am sure that this is what Shining intends, but to go from coherent to incoherent and back again is not my type of music. The music gets less crazy with “The Last Stand”. Absent in the beginning, the sax makes itself known in the middle of the song, changing the tone of the song into an ominous warning that adds a fantastic and interesting mix to the music. Unfortunately, this song too devolves into prepubescent screaming. On a positive note Shining has done an excellent job of transitioning one song to another making International Blackjazz Society feel like one long, diverse song. The transitions highlight the fantastic variety of the album, something many other artists fail to provide in their music.